OHNABEH,MASAKIS,ONOZUKAM,et al. Potential application of ceramic matrix composites to aero-engine components [J]. Part A: Appl. Sci. Manuf.,1999,30:489-496. ROGERR N,RENEJ F P,JACQUESL L. Single and multilayered interphase in SiC/SiC composites exposed to serve environmental conditions: an overview [J]. Int. J. Ceram. Technol,2010,7:263-275. WEBERW J,JIANGW,GAOF,et al. Ion-solid interactions and defects in silicon carbide[J]. Nucl.Instrum. Methods Phys. Res. B,2002,190:261-265　. TAKEDAM,SAKAMOTOJ,IMAIY,et al. Thermal stability of the low-oxygen-content silicon carbide fiber, Hi-Nicalon TM [J].Compos. Sci. Technol.,1999,59:813-819. TAKEDAM,IMAIY,ICHIKAWAH,et al. Thermal stability of SiC fiber prepared by an irradiation- curing process [J].Compos. Sci. Technol.,1999,59:793-799. LIPOWITZJ,BARNARDT,BUJALSKID,et al. Fine-diameter polycrystalline SiC fiber [J].Compos. Sci. Technol.,1994,51:167-171. MAH T,HECHTN L,MCCULLUMD E,et al. Thermal stability of SiCfibres(Nicalon)[J]. J. Mater. Sci.,1984,19:3649-3657. CLARKT J,PRACKE R,HAIDERM I,et al. Oxidation of SiC ceramic fiber [J].Ceram. Eng. Sci. Proc.,1987(8):717-731. 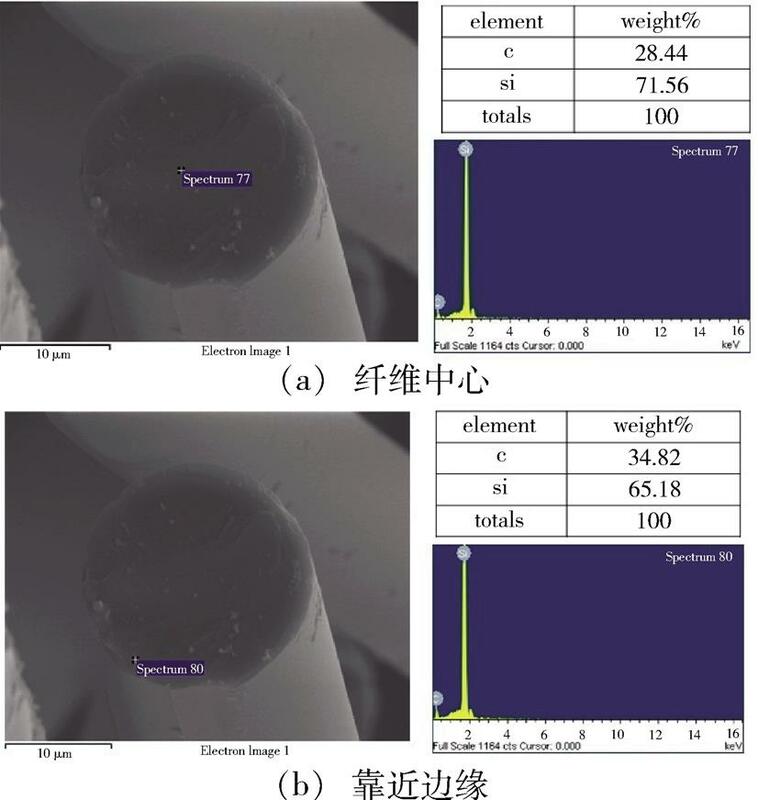 HOCHETN，BERGERM H，BUNSELLA R，Microstructure evolution of the latest generation of small-diameter SiC-based fibers tested at high temperature [J] . J. Microsc-oxford.，1997，185：243-258. OKAMURAK，SEGUCHIT，Application of radiation curing in the preparation of polycarbosilane derived SiC fibers [J] . J. Inorg. Organomet. P.，1992，2：171-179. YAMAOKAH，ISHIKAWAT，KUMAGAWAK. 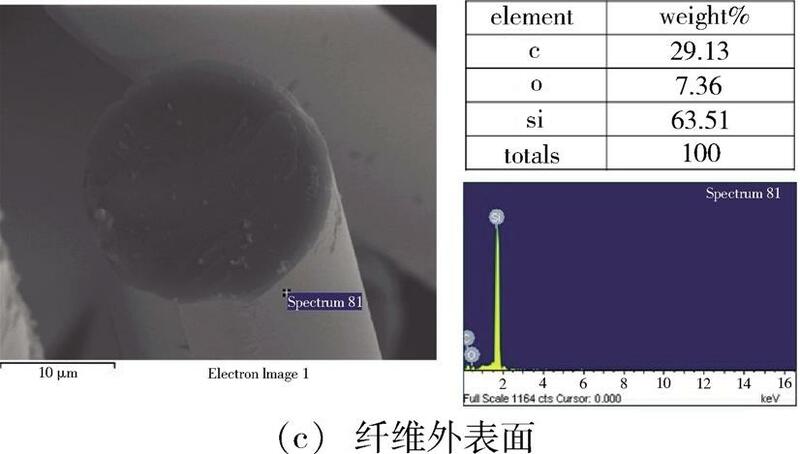 Excellent heat resistance of Si-Zr-C-O fibre [J] . J. Mater. Sci.，1999，34：1333-1339. SHIMOOT，OKAMURAK，MORISADAY. Active-to-passive oxidation transition for polycarbosilane-derived silicon carbide fibers heated in Ar-O2 gas mixtures [J] . J. Mater. Sci.，2002，37：1793-1800. SHIMOOT，MORISADAY，OKAMURAK. Oxidation behavior of Si-M-C-O fibers under wide range of oxygen partial pressures [J] . J. Mater. Sci.，2002，37：4361-4368. MOR，YINX，YEF，et al. Mechanical and microwave absorbing properties of Tyranno ZMI fiber annealed at elevated temperatures [J] . Ceram. Int.，2017，43：8922-8931. BUNSELLA，PIANTA，A review of the development of three generation of small diameter silicon carbide fibers [J] . J. Mater. Sci.，2006，41：823-839. TRESSLERR.Recent developments in fibers and interphases for high temperatureceramic matrix composites[J] .Compos. Part. A-Appl. S.，1999，30：429-437. SHIMOOT，OKAMURAK，TSUKADAI，et al. Thermal stability of low-oxygen SiC fibers fired under different conditions [J] . J. Mater. Sci.，1999，34：5623-5631. SHIMOOT，OKAMURAK，TAKEUCHIH，et al. Effect of reduced pressure on oxidation and thermal stability of polycarbosilane-derived SiC fibers [J] . J. Mater. Sci.，2003，38：4973-4979. SCHNEIDERB，GUETTEA，NASLAINR，et al. A theoretical and experimental approach to the active-to-passive transition in the oxidation of silicon carbide: Experiments at high temperatures and low total pressures [J] . J. Mater. Sci.，1998，33：535-547. KUECKA M，De JONGHEL C. Two-stage sintering inhibits abnormal grain growth during β to α transformation in SiC [J] . J. Eur. Ceram. Soc.，2008，28：2259-2264. OHNABE H,MASAKI S,ONOZUKA M,et al. Potential application of ceramic matrix composites to aero-engine components [J]. Part A: Appl. Sci. Manuf.,1999,30:489-496. ROGER R N,RENE J F P,JACQUES L L. Single and multilayered interphase in SiC/SiC composites exposed to serve environmental conditions: an overview [J]. Int. J. Ceram. Technol,2010,7:263-275. WEBER W J,JIANG W,GAO F,et al. Ion-solid interactions and defects in silicon carbide[J]. Nucl.Instrum. Methods Phys. Res. B,2002,190:261-265　. TAKEDA M,SAKAMOTO J,IMAI Y,et al. 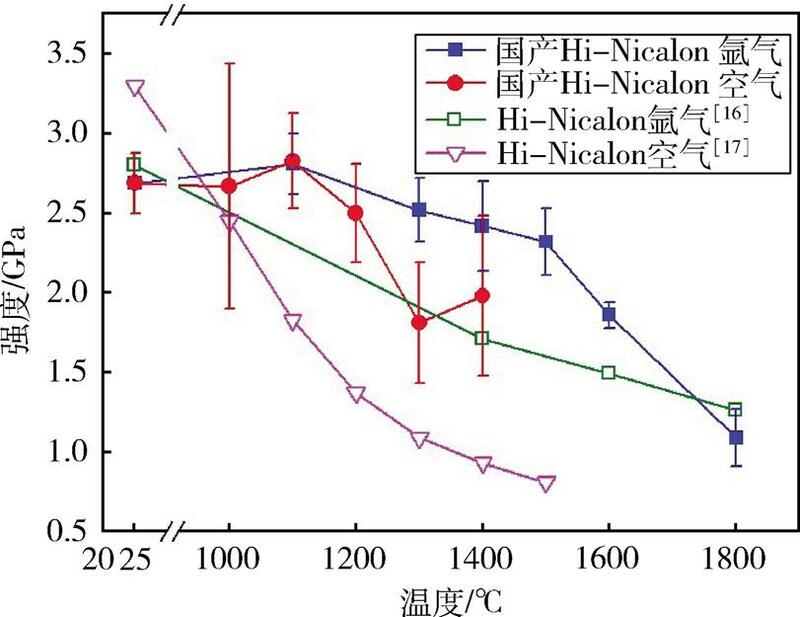 Thermal stability of the low-oxygen-content silicon carbide fiber, Hi-Nicalon TM [J].Compos. Sci. Technol.,1999,59:813-819. TAKEDAM,IMAI Y,ICHIKAWA H,et al. Thermal stability of SiC fiber prepared by an irradiation- curing process [J].Compos. Sci. Technol.,1999,59:793-799. LIPOWITZ J,BARNARD T,BUJALSKI D,et al. Fine-diameter polycrystalline SiC fiber [J].Compos. Sci. Technol.,1994,51:167-171. MAH T,HECHT N L,MCCULLUM D E,et al. Thermal stability of SiCfibres(Nicalon)[J]. J. Mater. Sci.,1984,19:3649-3657. CLARK T J,PRACK E R,HAIDER M I,et al. Oxidation of SiC ceramic fiber [J].Ceram. Eng. Sci. Proc.,1987(8):717-731. HOCHET N，BERGER M H，BUNSELL A R，Microstructure evolution of the latest generation of small-diameter SiC-based fibers tested at high temperature [J] . J. Microsc-oxford.，1997，185：243-258. OKAMURA K，SEGUCHI T，Application of radiation curing in the preparation of polycarbosilane derived SiC fibers [J] . J. Inorg. Organomet. P.，1992，2：171-179. 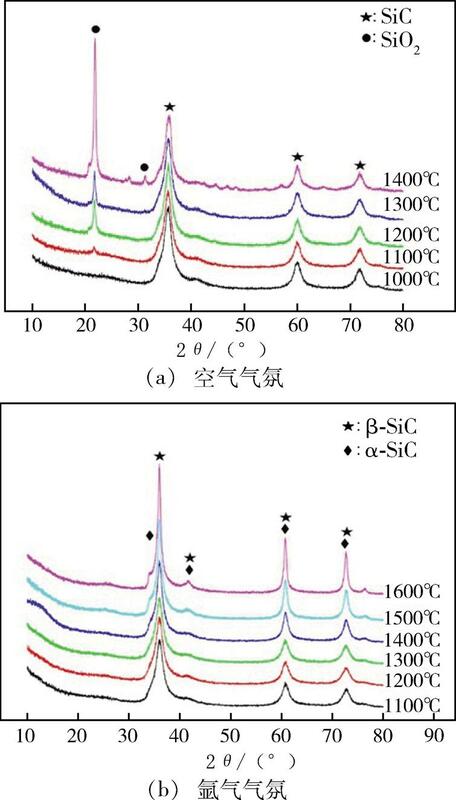 YAMAOKA H，ISHIKAWA T，KUMAGAWA K. Excellent heat resistance of Si-Zr-C-O fibre [J] . J. Mater. Sci.，1999，34：1333-1339. SHIMOO T，OKAMURA K，MORISADA Y. Active-to-passive oxidation transition for polycarbosilane-derived silicon carbide fibers heated in Ar-O2 gas mixtures [J] . J. Mater. Sci.，2002，37：1793-1800. SHIMOO T，MORISADA Y，OKAMURA K. Oxidation behavior of Si-M-C-O fibers under wide range of oxygen partial pressures [J] . J. Mater. Sci.，2002，37：4361-4368. MO R，YIN X，YE F，et al. Mechanical and microwave absorbing properties of Tyranno ZMI fiber annealed at elevated temperatures [J] . Ceram. Int.，2017，43：8922-8931. BUNSELL A，PIANT A，A review of the development of three generation of small diameter silicon carbide fibers [J] . J. Mater. Sci.，2006，41：823-839. TRESSLER R.Recent developments in fibers and interphases for high temperatureceramic matrix composites[J] .Compos. Part. A-Appl. S.，1999，30：429-437. SHIMOO T，OKAMURA K，TSUKADA I，et al. Thermal stability of low-oxygen SiC fibers fired under different conditions [J] . J. Mater. Sci.，1999，34：5623-5631. SHIMOO T，OKAMURA K，TAKEUCHI H，et al. Effect of reduced pressure on oxidation and thermal stability of polycarbosilane-derived SiC fibers [J] . J. Mater. Sci.，2003，38：4973-4979. SCHNEIDER B，GUETTE A，NASLAIN R，et al. A theoretical and experimental approach to the active-to-passive transition in the oxidation of silicon carbide: Experiments at high temperatures and low total pressures [J] . J. Mater. Sci.，1998，33：535-547. KUECK A M，De JONGHE L C. Two-stage sintering inhibits abnormal grain growth during β to α transformation in SiC [J] . J. Eur. Ceram. Soc.，2008，28：2259-2264. 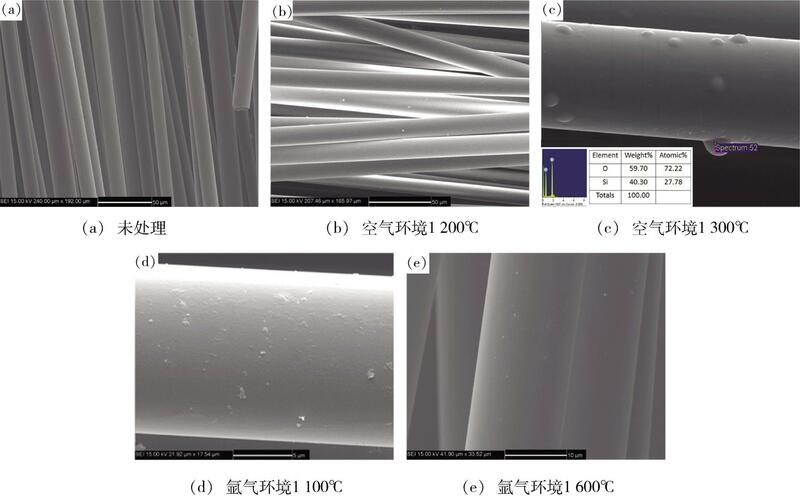 JIN Enze,SUN Wenting,SUN Xin,et al.Evolutions of Microstructures and Properties of SiC Fibers Annealed at Elevated Temperatures[J].Aerospace Materials & Technology,2019,49(02):36-40,45.